Having a Music Degree and Teaching Certification from the University of Victoria and previous experience teaching K-12, Jenny is also an avid martial artist and musician. As a child, she was taught Shaolin Kung Fu by her father and was introduced to the piano. In her youth she received numerous grading certificates from both the Royal Conservatory of Dance and The Royal Conservatory of Music. Through these traditional forms of training she found her love for both movement and sound. Having considerable talent, she was asked to play with various bands over the years which included performances at venues including UVic Auditorium, the Royal Theatre and the McPherson Theatre in Victoria, British Columbia. After suffering setbacks from physical injuries, her gradual recovery lead her to re-discover her love and appreciation of physical movement, this lead to her study of Aikido, Tai chi and Modern Arnis as an adult. She has demonstrated the martial arts at various venues around town, local events and was the driving force in opening and promoting Tillicum Aikido Club. Twelve years into her training, along came her beautiful daughter and Jenny decided to focus on what was most important, being a Mother. 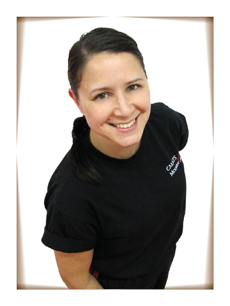 Since CMATS’ beginning, Jenny has been instrumental in the development of the child/youth classes from behind the scenes. Now that she has found time to return to the mats, she not only continues to be the creative source and energy behind the child/youth program, but is a welcomed addition to the CMATS Instructing Staff. By day, Jenny works full-time for the BC Provincial Government in the Office of Protocol. There she continues to share the same smile and uplifting energy she brings to each and every martial arts class. A home is where we should feel safe, but at the age of four, Jordan Dellabough was signed up for his first lesson in the martial arts by his Mother. For her it was for his safety but for him this was an opportunity to explore the mysteries of disappearing like a Ninja, strike like Bruce Lee, act goofy but awesome like Jackie Chan and have fun. He soon realized that by listening to those wiser, he could strive to be “a positive effect on this world." Jordan’s passion and dedication for the martial arts grew along with his natural ability through the years which lead to his first Black Belt at the age of twelve from Grand Master Sung Ju Kim. At that time he was already assisting the adult instructors in teaching classes and aiming for the 1988 Olympics. Due to circumstances beyond his control, he was unable to further that dream which only made him persevere even more through life's challenges. Jordan would use what he was learning through the martial arts in many areas of his teenage life, whether it was playing chess against adults “winning”, lending a shoulder for others when they needed it, healing injuries, knowing how to get up when knocked down, driving awareness, setting track and field records or making tough decisions. By the time he graduated high school and moved to another province in Canada, he knew that the martial arts had influenced his life for the better without ever learning how to disappear like a ninja. For one year Jordan left behind the ancient mysteries of the martial arts as he adapted to his new surroundings and started building a new life. As he worked three jobs to just get by, he finally found time to get back to doing what he loved, the martial arts. Over the next three and a half years his new instructor would begin to put not just his physical skills but his confidence, loyalty, determination, humility, respect and patience to the test in order to guide and mold him towards attaining a martial spirit. Jordan's life improved as did his career, finally supporting himself with one occupation, that led to many highlights; one being a personal attendant to his Royal Highness Prince Edward, Duke of Edinburg during her Majesty the Queen's Golden Jubilee visit to Victoria, BC in 2002. To back track for a moment, it was in the summer of 1996 that Mr. Dellabough first met Professor Remy A. Presas, the creator of Modern Arnis through a seminar that was hosted by Mr. Dellabough's instructor at that time, Sensei Mike Chin. The moment he saw the Professor wielding the canes/sticks and demonstrating this beautiful but devastating art, he knew he had found the art he would practice the rest of his life. Modern Arnis offered many answers to questions that had always been unanswered by Instructors. It was pure; with complete understanding of effective techniques that are not dependant on strength, size or yelling. It is a modern answer to modern day challenges, without illusions, just the flow and a few “love taps.” It gives meaning to movements in other martial arts that through translation have been lost. Modern Arnis is known as "the art within the art." Since that day, meeting the Professor, and training Modern Arnis under the tutelage of his instructor Sensei Mike Chin, his devotion deepened for the art and began the journey to make it his own. Every time Professor came to town to visit family and share his art, he would attend and absorb what he could and practice diligently until his next meeting. Over the next few years, challenges arose between Mr. Dellabough and his Sensei, so he would make a very difficult decision to take his leave, from the place he had called home. Unfortunately, in and around that time frame, the Professor passed away at the early age of 64. In 2002, Mr. Dellabough’s loving and supportive wife Jenny wrote an email to one of Professors’ Successors, Jeffrey Delaney, and explained that Jordan had a passion for the art of Modern Arnis. As the two had met before during Professors recovery then gradually passing on, Jeffrey Delaney would travel to Victoria to continue Mr. Dellabough’s training in the revered martial art. What Mr. Delaney saw in Mr. Dellabough was a keenness for Modern Arnis; he was genuinely interested in learning what Professor had gifted the world. As Mr. Dellabough looked back on his life and compiling all his knowledge and experience, thankful for what he had learned, it was only natural to do what happened next. 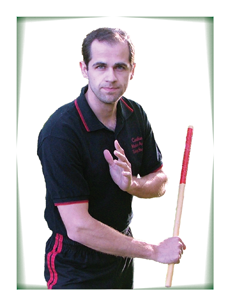 In 2004, the Canadian Modern Arnis Training Studios was created by Jordan Dellabough. His vision had grown far beyond himself, and understood that Modern Arnis was not left behind for a few but for many and he proceeds to this day to travel across Canada on weekends giving seminars to other martial art groups and sharing his martial spirit and Modern Arnis the way the Professor had done. During the week he teaches this exciting, effective and fun self-defense full-time to adults, youths and children at the CMATS studio in Victoria, BC. As for the mysteries Mr. Dellabough has learnt along the way training the martial arts, he is willing to share the knowledge openly but be prepared to train diligently. To date, Mr. Dellabough has trained for over thirty years of his life; a bit of Karate, few years in Judo, seven years in Taekwondo, over ten years of Aikido, a bit of Wing Chun/Tai Chi, and has over fifteen years of Modern Arnis which is the art he has chosen to pass on and play with. Mr. Dellabough has taught many people from many backgrounds, including Police and RCMP personnel, self-defense courses to female high school gym classes, Private lessons, Black Belts of other martial arts, the head of Kenpo Karate Canada, Federal Boat and Safety Officer, Military personnel and the list grows. He strives every day to be a positive effect on the world through his dealings with all his wonderful students, those that he comes in contact with and patiently waits to greet you.